Many people invest in gold because it’s a tangible asset you can feel and hold. Gold is a great investment against inflation, currency failure, political unrest, declining markets, and huge national debt. The government can’t just print more gold the way it can paper money. The supply of mined gold increases at only 1.6% per year, though the demand remains high. Many financial experts agree that part of your investment portfolio should include precious metals, especially gold. Gold has been in high demand for thousands of years, and this will never change. Gold has universal value and is accepted around the world. Many gold investors prefer gold coins because they’re easy to buy, easy to store, and easy to sell. The most collected gold coins in the U. S. are the American Eagle gold coins. 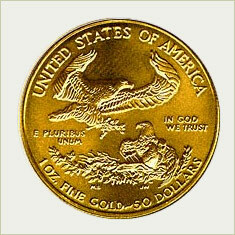 American Eagle gold coins were first minted in 1986, by the United States Mint. It’s a truly American coin, authorized by the U.S. Congress and made from gold mined in the U.S. The weight and content of each coin is certified by the U.S. Mint, so these are certified gold coins. Certified gold coins are graded by experts like Professional Coin Grading Service and the Numismatic Guaranty Corporation. These agencies closely examine coins to determine their authenticity and their quality. Few coins are deemed perfect. Even ones fresh from the mint might contain tiny flaws that can be detected only by a professional. 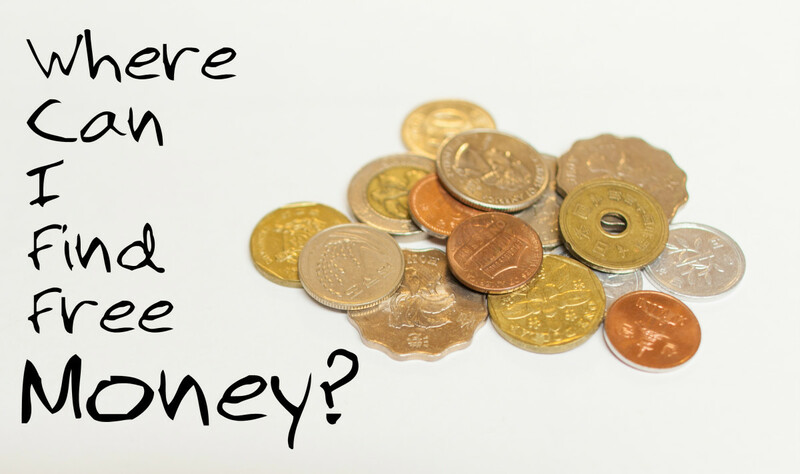 And of course, you want to make sure any gold coins you buy are made of actual gold – certified gold coins. What does the American Eagle gold coin look like? The American Eagle gold coin is beautiful. The front, or obverse, depicts Lady Liberty. This design was inspired by the $20 gold piece designed by Augustus Saint-Gaudens, which was minted between 1907 and 1933. The Saint-Gaudens gold piece is often considered the most beautiful coin ever minted in the United States, and it’s the most counterfeited of all gold coins. The reverse, or back, of the American Eagle gold coin is based on a sculpture by Miley Busiek that depicts a male eagle flying over a nest containing a female eagle and her newly hatched chicks. To see both sides of this beautiful coin, see the photos below the article links. Are these coins 100% gold? No. because of the inherent softness and malleability of gold, other alloys are added to make the coins harder and more durable. The American Eagle gold coins are 91.67% 22-karat gold, 5.33% copper, and 3% silver. How is the American Eagle gold coin sold? American Eagle gold coins are sold in four denominations: 1/10 ounce, which has a $5 face value; ¼ ounce, which has a $10 face value; ½ ounce, which has a $25 face value; and one ounce, which has a $50 face value. How much do American Eagle gold coins cost? The face value of the American Eagle has little to do with its cost or actual value. The amount of gold in each coin in printed on the reverse side, and the price is based on the market price for gold, which can vary from day to day. 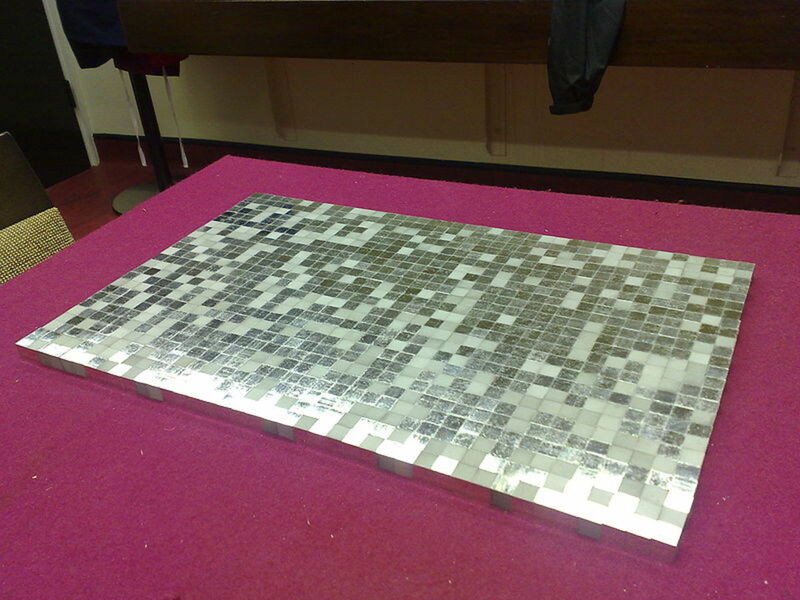 A small fee is added for coinage and handling. Where can I buy American Eagle gold coins? 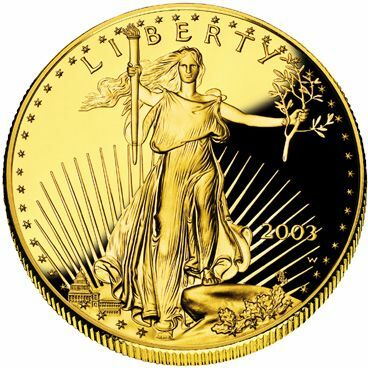 American Eagle gold coins are available from precious metal dealers, coin dealers, brokerage houses, and some banks. Also, collectible proof versions of the American Eagle gold coins can be purchased directly from the United States Mint online catalog. There are several ways to invest in gold. In addition to purchasing American Eagle gold coins, you can by rare certified gold coins, American Buffalo coins, Canadian Maple Leaf coins, South African Krugerrands, Vienna Philharmonics coins, or gold bars. You can even open a gold IRA. 401K or IRA? Which is Best for You? American Eagle gold coin - obverse. American Eagle gold coin - reverse. Yes, getting one graded by a third party can verify the grade, or at least often does. But, these are bullion coins and do not often sell with enough numismatic value above bullion to make having them slabbed economically feasible. Nice hub with great source to read. I am panning to buy some valuable coins, can you say me habee the perfect place for it? Certified gold, thanks for visiting and leaving a comment! scheng, I agree with you! Wish I'd bought gold coins years ago. Great hub habee! Keep up the good work! I love you Hub posting! Beautiful Coin indeed! Very valuable! Thank you habee for the Useful Info! I think those with wise grandparents who collected the coins from their youth will get very rich. 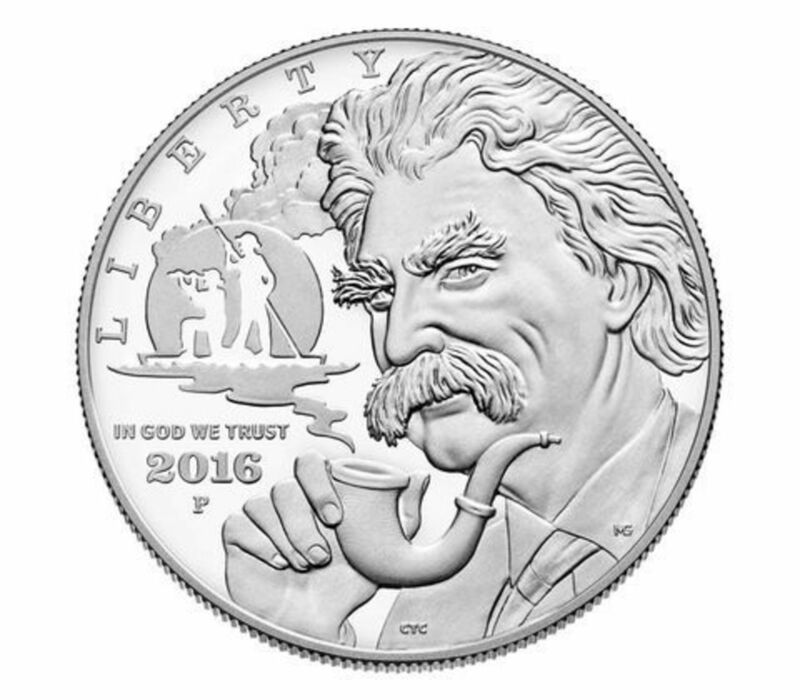 Most coin dealers in my area charge between $50 and $75 above the spot price for 1oz Eagles. It's best to shop around for the better price, but sometimes Eagles are hard to find. Thanks, for reading about gold coins, Elf! Good read. I invest in certified gold coins! Maita, gold coins are just so beautiful - not to mention their value! Yeah, Ethel - I second that! I have some gold coins..watching the market and wondering how high gold will go... unless one has inside information, often it's hard to predict these things. However, my big coin investment came in the form of a 1922 plain penny with no letter stamped under the date and in good shape. 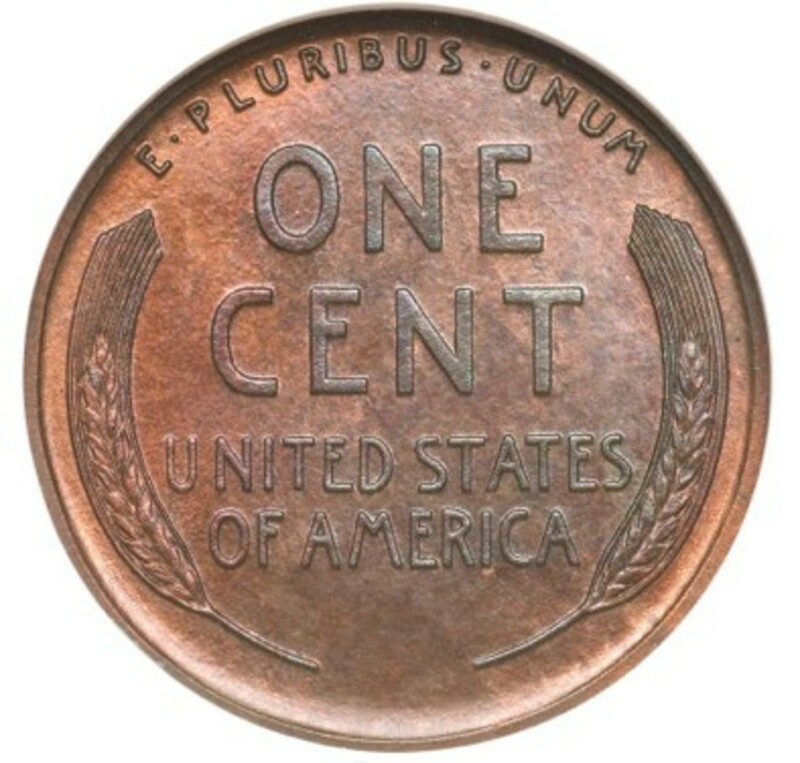 Since this penny was a dye cast mistake, it was limited and now worth over $16,000.00 dollars in good shape. Great hub, I rated it up. Right, Pam, but the think about gold and gold coins is that they'll never be worthless. Smart move, Loan Arranger! LOVE your handle, BTW! My webs, I agree with you about investing in gold! Right, Audrey - gold coins will always have value! Thanks, Prasetio! I agree - it's hard to go wrong with buying gold. Right, Jen! What are they thinking?? Yes, Herbi, I really want to start collecting gold coins! Me, too, Chris. And I really like the gold coins! That's a great tradition HP! I wish someone would give me gold coins! Mike, I understand exactly what you mean! John, thanks for the great advice! Habee, very good article. We have been talking about investing in gold but the price is so high right now I wasn't sure that this is the best time. 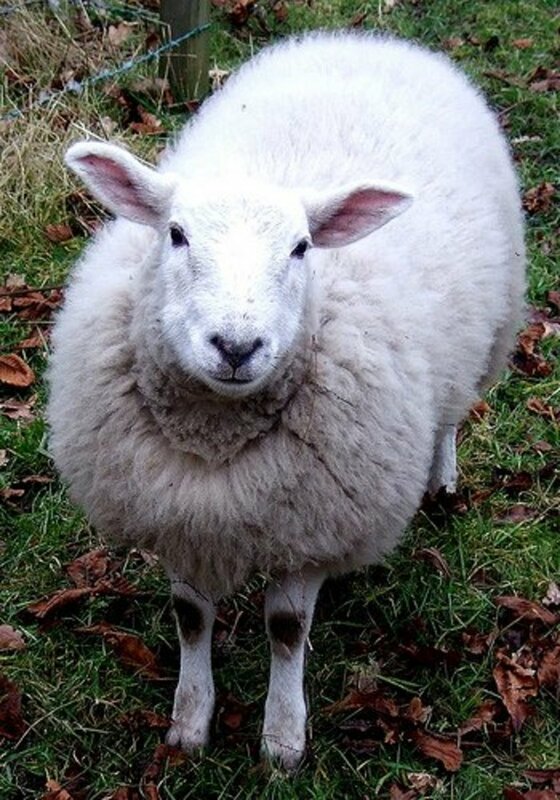 You have given me food for thought anyway. Thanks for the information. I bought a g9old soveriegn in 2002 for when my son was born. It was the start of a collection which now has me tryingto get one for every year they were available. The price of sovereigns has nearly tripled since I started the collection making a little tricky now to get the more rare ones, but what an investment. We love collecting coins. The American Eagle gold coin would be a nice part of the collection. I love collecting coins. No matter how much gold has went up recently, I still believe it will continue going up as the Federal Reserve just can't print our fiat dollars fast enough. Devaluing the dollar is the only way to lessen our debt which most likely will cause higher gold prices in my opinion. Thank you for sharing this information. I love to collect coins and I don't have this one yet. The American Eagle gold coins are beautiful and I would love to have one. It is a beautiful coin - I just love coin collecting. Bob actually has a collection so will have to show him your hub. It would be nice to invest in something these days that has some hope of retaining its value! I have wrote about gold investment. And I agree with all you said before. This is long term investment. If you find something which always profit all the time and good for the future, the best choice is GOLD. This coin was really beautiful, I liked to have one. Thumbs up for you. Good work habee. Very timely Habee - Gold hit record highs yesterday with the greek mess and the market meltdown. Great information Habee. Investing in gold is definitely a smart move especially right now as it looks like the government is going to continue to print money and devalue the dollar. Very interesting! These are definitely worth collecting and saving for a rainy day! I've been thinking about gold lately.. thanks for the info!! Invest in gold is always precious and dignified. In India there is a tradition that as soon as a newly married girl is received in the house by the parents or elders, generally the married girl will be blessed with ornaments of gold. The newly married girl will be the sole custodian of the gold. I have enjoyed collecting coins over time, and I inherited a few gold coins a few years ago. They are truly beautiful and there is an aspect to owning them that is hard to define. There is a feeling when you own a gold coin like the American Eagle coin that you are holding something special--it even FEELS valuable. I know that sounds goofy, but it is how I feel when I am holding something like that. Well, thanks for a great article--I love collecting coins. I've always believed gold is a good and safe investment, but guess what? George Soros has been buying gold like crazy. And, with his billions, he knows he'll never be hungry. He knows paper money is becoming worthless - much because of his own manipulations - but he doesn't need gold. So what is he going to do with it? Or is he just buying it so others can't? Have to wait and see. Thank you for showing them. Loved to read your hub.